The below announcement is from the Jeju chapter of KOTESOL (Korea Teachers of English to Speakers of Other Languages). "Ten Tech Tools Teachers Should Know About"
This workshop is FREE and open to everyone! Light refreshments, coffee, tea, and good company will be provided. Come join the Jeju chapter of KOTESOL for a free teacher training workshop on Saturday, March 28 from 3-5 p.m. (Click here for the Facebook event page. - Ed.) This is your chance to learn about free, online tools that all teachers should know and that are sure to make your job easier. The fabulous Lindsay Herron will be giving a presentation on the two most chosen topics from our workshop interest poll(information can be found below). Lindsay Herron has been a visiting professor at Gwangju National University of Education since 2008. Prior to that, she taught for three years on a Fulbright grant at Seogwipo High School in Jeju-do. She has a master’s degree in language education from Indiana University-Bloomington, a master’s incinema studies from New York University, bachelor’s degrees in English and psychology from Swarthmore College, a CELTA, and the CELTA YL Extension. 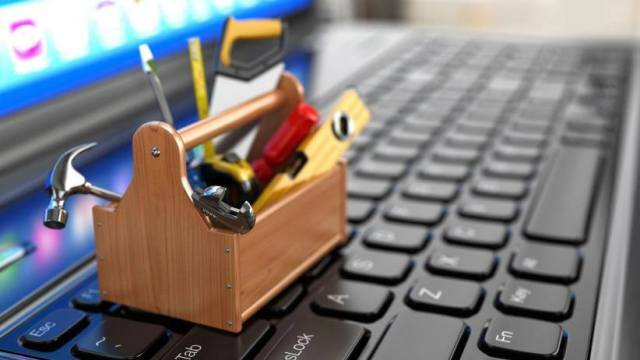 "Ten Tech Tools Teachers Should Know About"-This presentation will introduce ten free online tools guaranteed to make an educator’s life easier, without any software installation. Educators will discover new tools to streamline class feedback, gather student information, create self-grading tests, conduct surveys, motivate students, record voiceovers, add subtitles to English movies, and more. Attendees will leave the presentation with great new ideas for integrating tech tools into their teaching, helping to make their classes more dynamic and interactive, their students more engaged, and their lives much easier. "Awesome Online Tools for Project-Based Learning"- The internet offers a wealth of engaging, intuitive tools that are ideal for student projects! Incorporating online tools into project-based learning can help make the learning “sticky”; provide a context for language use; enhance motivation by providing autonomy and purpose; and modify or even redefine a task, offering new opportunities and options that would be impossible without technology. This presentation draws on the SAMR model and Bloom’s Digital Taxonomy to explore these issues; briefly addresses common concerns educators have about online projects, including privacy and copyright considerations; and recommends some free and easy-to-use tools for student projects. Attendees will leave with a new enthusiasm for incorporating tech tools, a rubric for evaluating online tools for student projects, and a selection of tools students can use in class on Monday. Tip: Bring a smartphone with a QR scanner to save yourself time in the workshop! This is definitely one that you don't want to miss. Oh, and did we mention it's free and open to all! If you are standing in front of the KAL Hotel in Jeju City, look to your left. You will see the Kyobo Insurance Building and the Allianz Building. Walk or drive down the street that is between these two buildings for a distance equal to about three blocks. You will see the Jeju Foreign Language Learning Center on your left. It is clearly marked with signs in English and Korean.